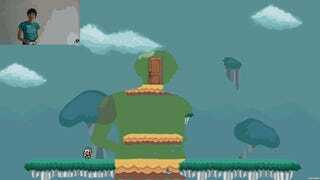 Fru is another creation from Global Game Jam 2014. It's a platformer where you can't see half of the platforms until you move into the right position. It starts out with fairly simple challenges, until about 2:40, when the acrobatics really begin.